The ability to communicate well is a rare skill that sets one man ahead of another. 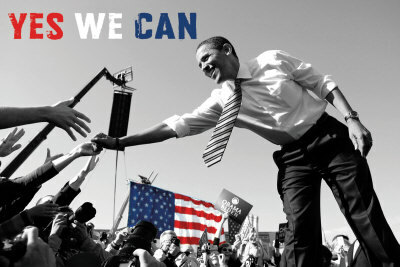 Against insurmountable odds, for instance, the United States of America has a black president. It turned out that the odds weren’t insurmountable. It turned out that one man’s ability to use just words to fire the imagination and to expand the art of the possible for everyday people, overcame the odds, destroyed the competition, and placed him at the helm of the world’s only remaining super power. And, after the books are written and history has passed judgement, it will, ultimately, come down to one simple thing. The man could communicate. Whatever you make of his policies, whether or not you care for his vision and however you measure his achievements, everyone – friends and detractors alike – has to concede that the man knows how to address a crowd, how to win an argument, how to set the pulse racing. His soaring oratory was up there, some said, with Martin Luther King’s. In this era of ultra-sophisticated communication technology, when someone has something to say, there are a hundred ways for them to say it. FB, Twitter and a bunch of other ubiquitous social media platforms have changed the communications landscape forever. Now, leaders come out of nowhere. A simple phrase resonates around the globe seconds after it has been uttered. Thousands of young dispossessed children in our inner cities are heading inexorably towards the cliffs. There are many causes: peer influence, an overwhelming sense of hopelessness, an absence of effective parental control and a chronic lack of education. The result? A rapidly burgeoning underclass of aggressive, cynical, frustrated and directionless youngsters, woefully unprepared for impending adulthood. Last summer’s riots are probably next year’s best case scenario. And above all, these guys are like not communicatin’ wiv nobody innit? OMG! There are some powerful initiatives at work at street level. One, is Debate Mate and, if you haven’t heard of them, you soon will. If you take a child in her early teens and teach her to debate, that single skill, finely honed, has the power to change fundamentally and permanently, that child’s direction and future prospects. Off the charts. So Debate Mate runs debating courses and debating competitions for hundreds of urbanised children and, well, you have to see them in action to get the full impact. I have, and, without exaggeration, I have been astounded to see the transformational effect debating has had on the lives of the mainly poor and underprivileged, yet enthusiastic, young folk who attend. The sense of achievement radiated by those who succeed in learning to debate is immense. There is a chatter, buzz and anticipation normally reserved for a Rhianna concert. You have to remind yourself that these children are excited about an impending debate. To see a 14 year old child holding spellbound an audience of 500 adults and fellow school children is an emotional thing. Especially when this child has not had the luxury of a high quality private education, or the benefit of a functioning loving family unit. Very far from it. I can write all I want, but, in truth, you should check it out for yourself. Margaret and her (truly amazing) team run the competitions all year ‘round so drop her a line and get yourself along to one of them. Where would I be without Debate Mate? Probably in a gang, on the streets. That's a great idea about debates. Whilst I personally was never in a debating club I had a chum who was, and the whole area brings a certain amount of discipline and focus to one's thinking. Its got that competitive aspect too. For bright but at risk kids, I could see it being very beneficial. I would put chess in that same category. Yes! It empowers the children to a level where they can confidently and articulately address a room full of strangers. Great to see in action… Thanks for the comment.